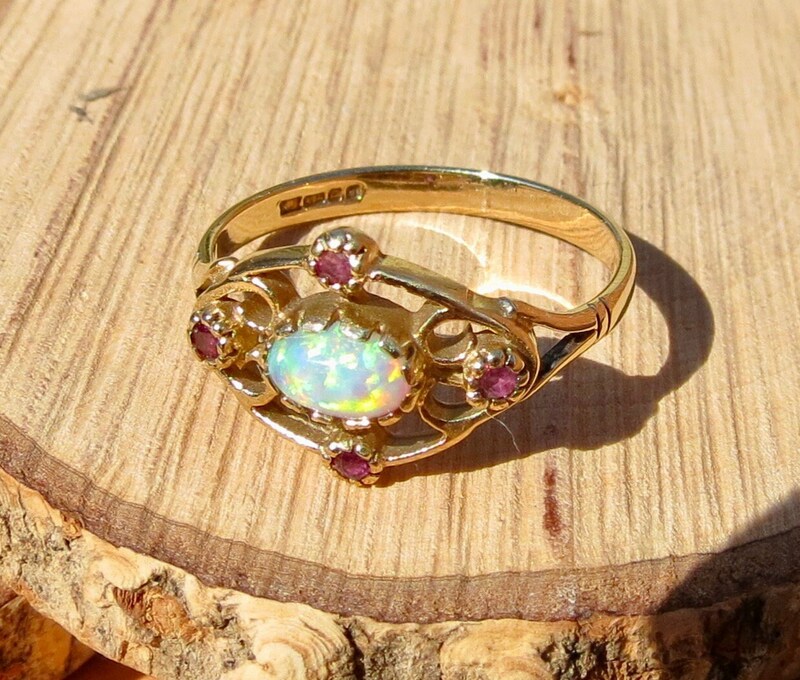 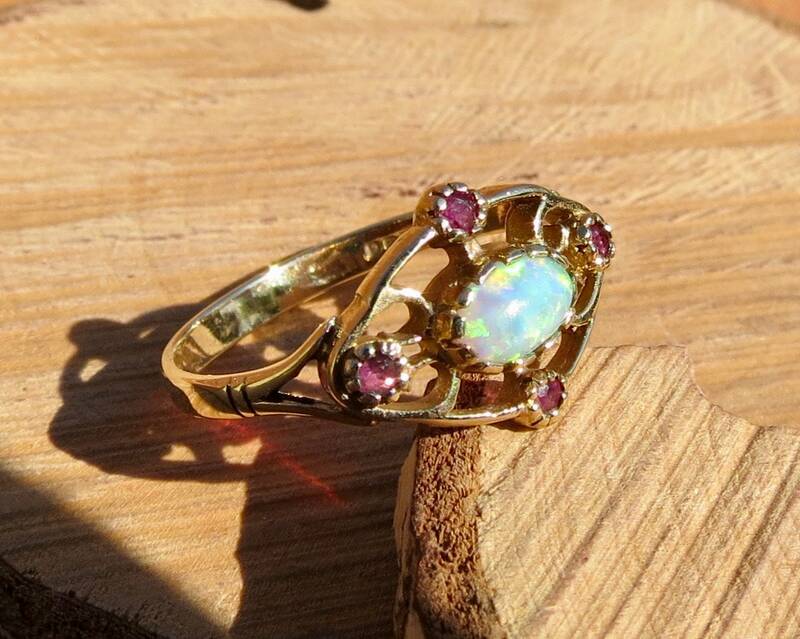 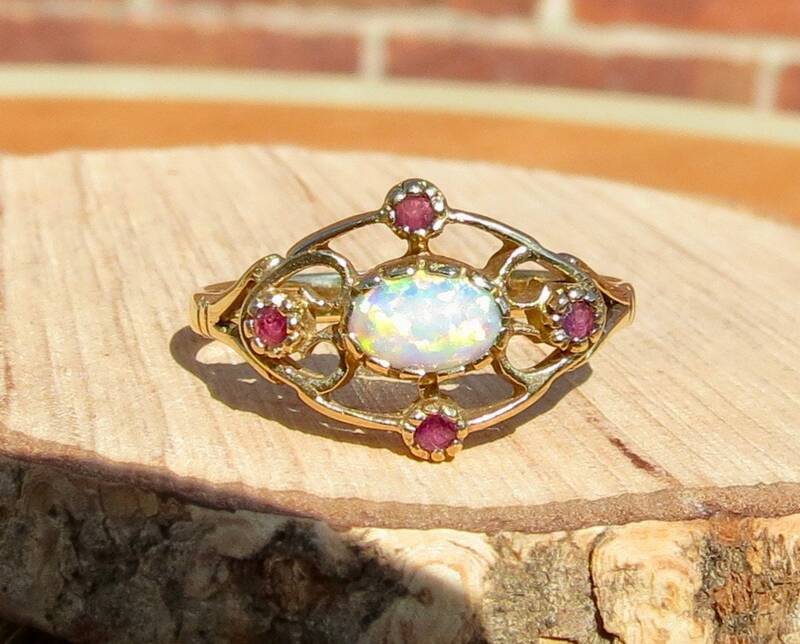 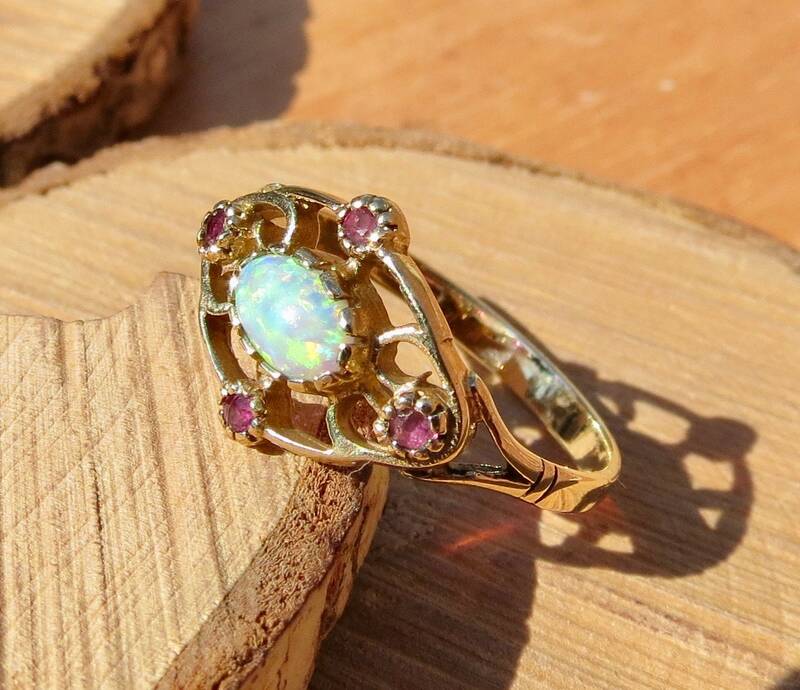 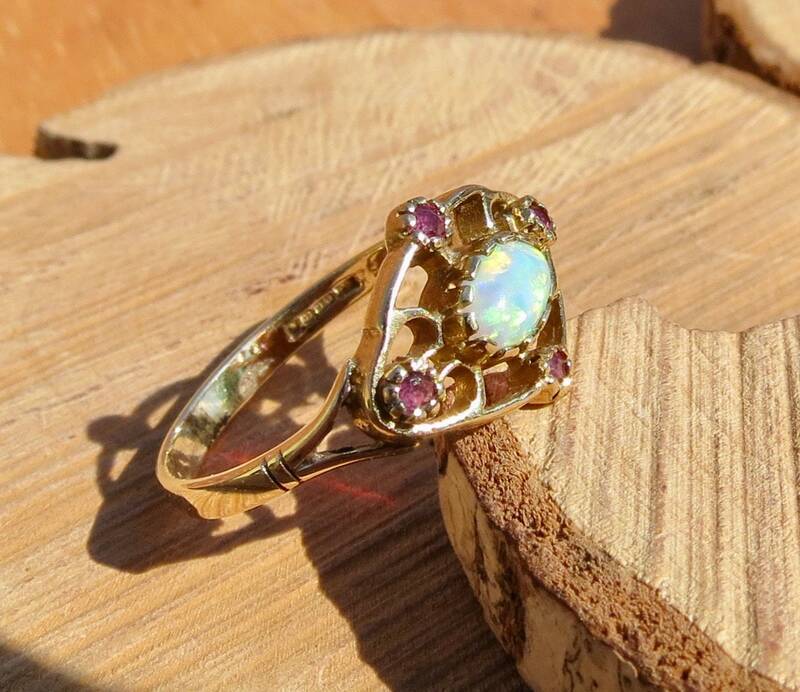 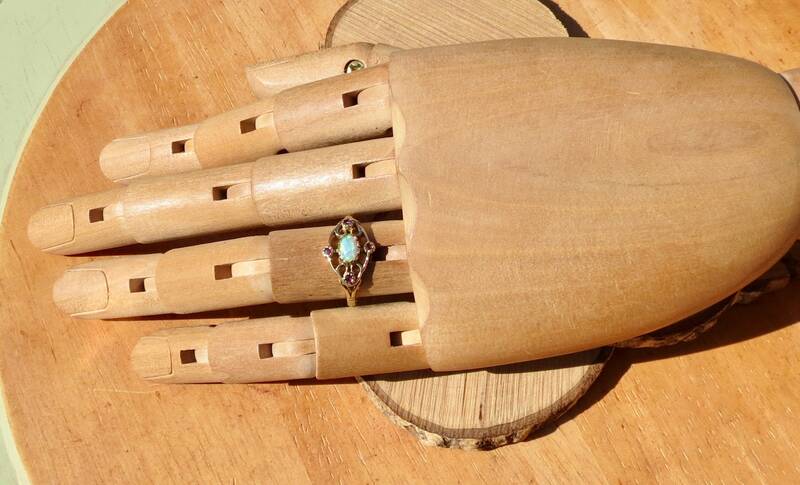 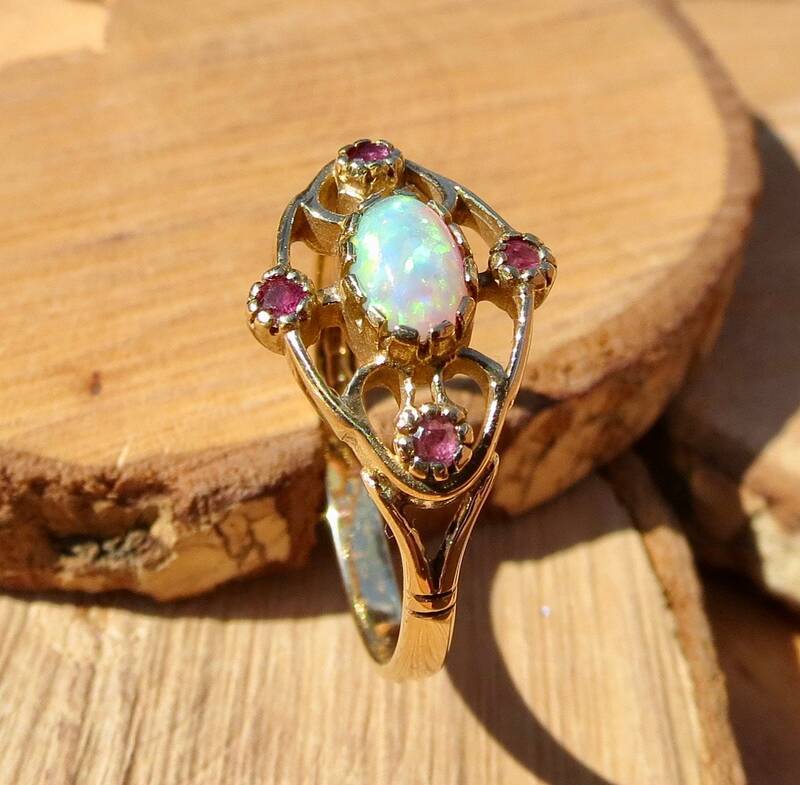 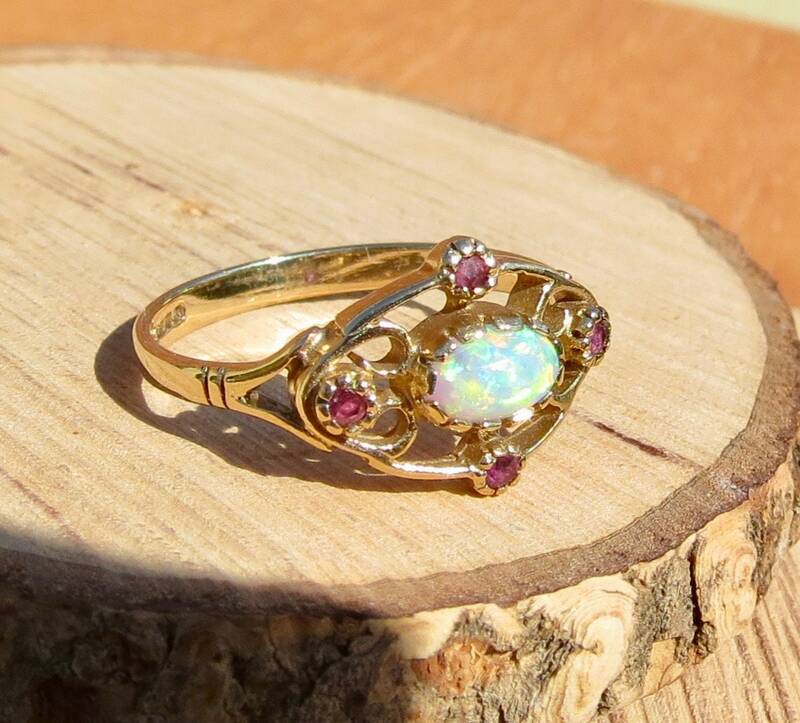 A 9K yellow gold ruby and opal ring. 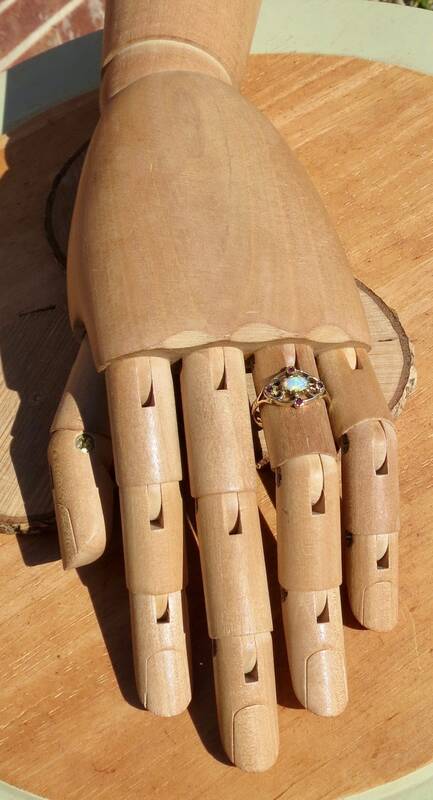 Splayed shoulders lead to a plain band. 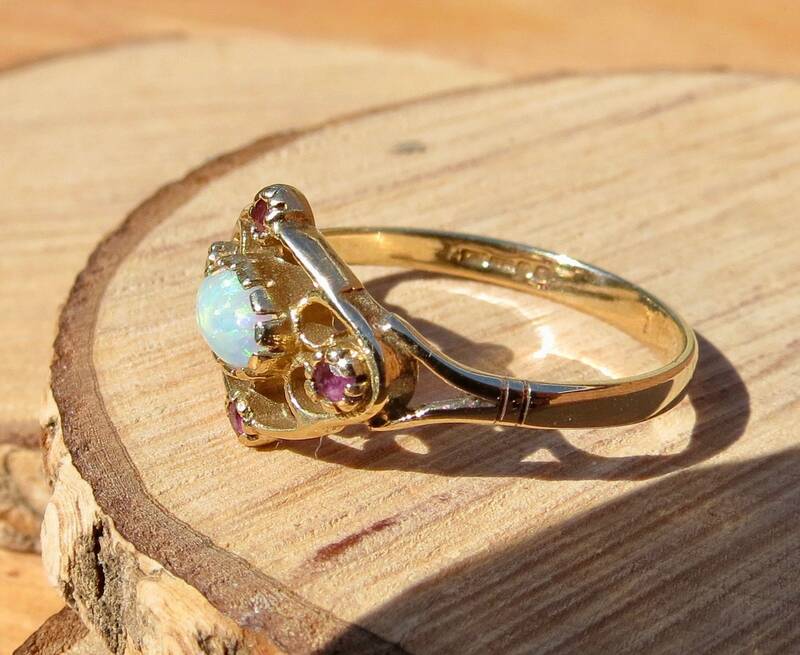 The setting measures 3/4 x 1/2 inch (15mm x 12mm).